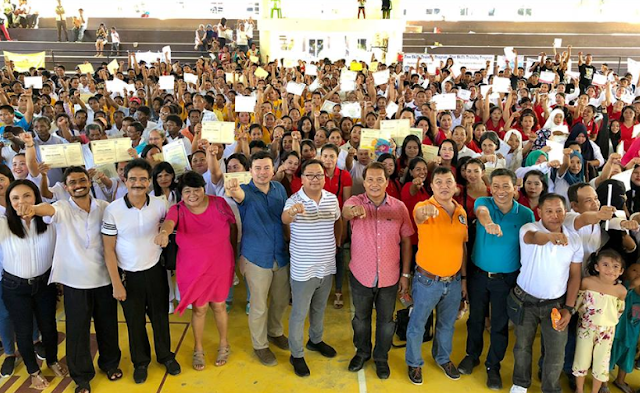 The Technical Education and Skills Development Authority (TESDA) proudly announces the completion of around 720 affected workers and residents of the famous Boracay Island, who received free skills training prompted by the island’s closure. This, according to TESDA Deputy Director General for TESDA Operations Alvin Feliciano, who earlier vowed to assist those aspiring to put up their own businesses post - rehabilitation efforts. 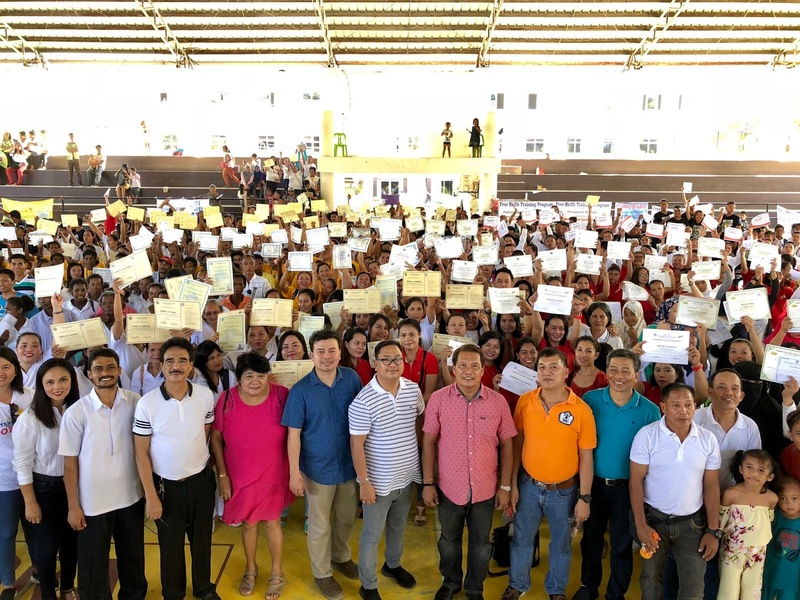 The awarding was held at a ceremony during the “Mass Graduation of TESDA Skills Training for Displaced Workers and Other Beneficiaries Affected by the Temporary Closure of Boracay Island” in Barangay Manoc Manoc Covered Court in Boracay, the same day that the famous island getaway destination was formally re – opened to the public. To recall, Boracay Island dubbed as the “island paradise” was closed for six months beginning April 26, 2018 after President Duterte himself ordered to rehabilitate the island resort with the aim to restore to its natural habitat. The President did not mince words in describing the island as a ‘cesspool’ due to several environmental issues. The unregulated construction of various hotels, resorts and other establishments in the island are among those who were blamed as obstacles against Boracay’s natural beauty. Renewed Boracay finally re – opens for business on October 26, 2018 157 compliant hotels and resorts allowed to operate after complying with environmental laws and other requirements. Feliciano, along with TESDA Aklan Provincial Director Joel Villagracia and other local officials led the graduation rites in Boracay during its re - opening ceremony. 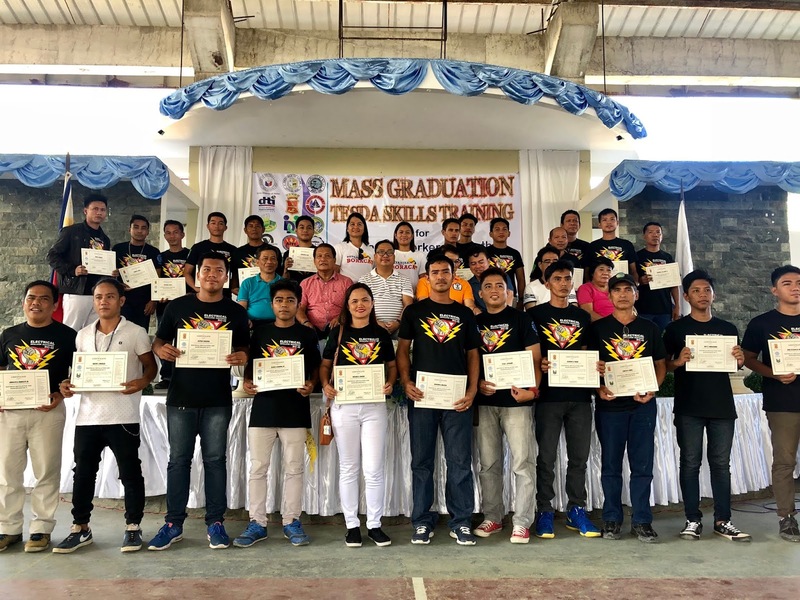 Feliciano assured the graduates of the assistance they need to start – up their own businesses through the help of various agencies and financial institutions such as the Department of Trade and Industry (DTI), Department of Social Welfare and Development (DSWD), Department of Labor and Employment (DOLE), Landbank of the Philippines (LDP), and the Development Bank of the Philippines (DBP). 42 recipients graduated under the course of Lifeguard Services, along with 17 under Electrical Installation and Maintenance NC II; SMAW NC l, 113; Housekeeping NC ll, 54; Security Service NC ll, 25; Service Consumer Electronic Products and Systems (leading to Electronics Products Assembly and Servicing NC ll, 66; Driving NC ll, 25; Prepare Hot and Cold Meals (leading to Cookery NC ll), 50; Cake Making, 40; Pastry Making, 33, Bread Making, 30; Perform Manicure and Pedicure, 100; Carpentry/Plaster Concrete/Masonry Surface (leading to Masonry NC ll, 5l; Hilot (Wellness Massage) NC ll and Dressmaking NC ll, 15.